Gifts are a key part of the wedding celebrations, celebrating the happy couple by commemorating your attendance at their nuptials. However, instead of newlyweds creating a wedding registry, the new form of contribution is the wishing well. The rise in popularity could be contributed to the fact that many couples already live together before getting married, and already own many of the typical household gift presents. Other factors may include previous marriages or just that the newlyweds don’t require any gifts. 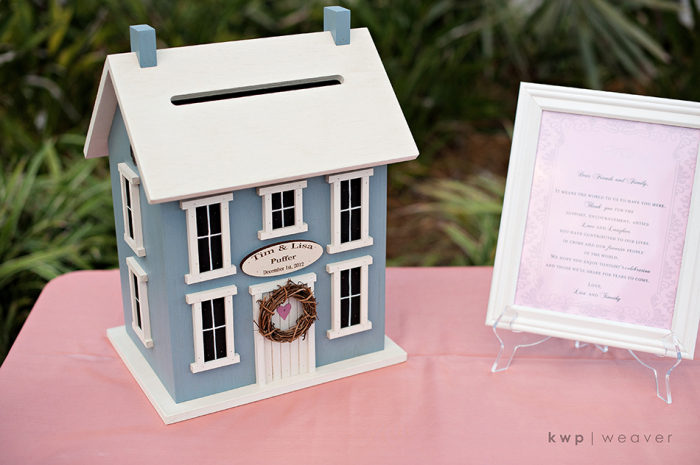 Many use the wishing well (or fancy donation box), to fund their honeymoon - because after splashing out big on the ceremony they might be a little strapped for cash. How do wedding wishing wells work? Firstly, not everyone will be familiar with the gifting trend - a great way to introduce the idea to your guests is alongside the wedding invite. Just as you would send out the information for your wedding registry, adding in a few details about your preference for a wedding wishing well and what you would use the money for (honeymoon) is a great way to explain the idea to your guests. It’s also a good idea to mention traditional gifts are always welcome, as some of guests might be more comfortable with that option. How much should I put in a wishing well? It is of course completely up to you as to how much you choose to gift the bride. As a general rule of thumb, the amount you put in should reflect how close you are to the couple. Now, you’ll all be close as you’ve been invited to the wedding, however, if you are a great aunt who see’s the couple every second year vs friends who catch up every second weekend - there’s a difference. Whilst the general rules for wishing wells apply universally, there are some additional factors that may influence your contribution. For instance, if the couple have chosen to host a destination wedding where you have already spent considerable dollars getting to the location, you may find it acceptable to lessen your contribution. Likewise, if the newlyweds have put on a very decadent spread to celebrate their marriage with their nearest and dearest, it would be appropriate to pay them back in kind. Wishing wells don’t just have to be for cash-only donations, they can also be a great way to receive wedding shower gifts, small presents, kitchen utensils and linens. Some more modern newlyweds opt for a direct deposit account, especially those doing a paperless wedding. That way guests can simply deposit their chosen amount straight to the couple without the fuss of dropping the cash card in a well at the reception. Majestic Wedding DJs are a Perth wedding DJ hire company able to create the perfect playlist for your special day. Are you looking for a triple J wedding DJ, and a crew that is young and on top of the current chart toppers? Majestic Wedding DJs can custom make a playlist to suit you and your partner’s individual music tastes. For more information on our wedding packages and prices, feel free to get in touch with us.